The possibility of fire in a mill was a concern, particularly as the they got bigger in the 19th Century. There was no national or local fire service. Most mills had fire buckets but some went the lengths of having their own fire engine. 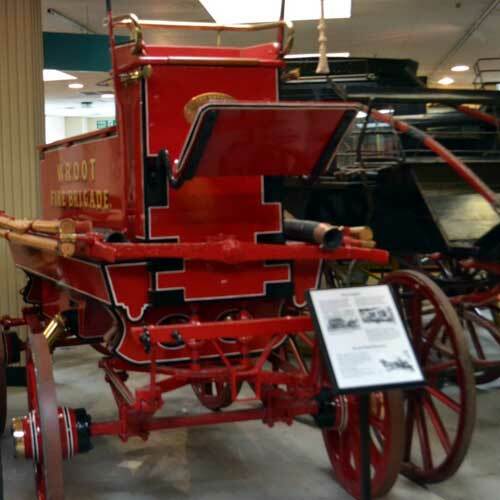 This fire engine was horse drawn and was made by Shand Mason of London. 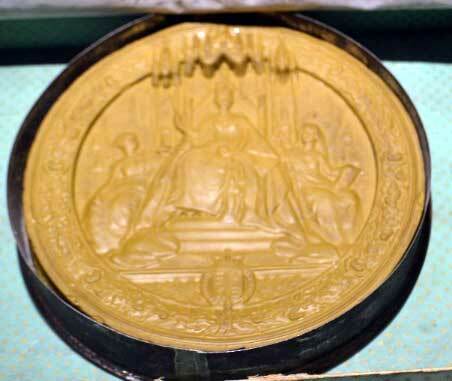 It was used between 1850 and 1900. Transport Gallery, Tolson Museum. The bridge carries Quay Street over the Huddersfield Broad Canal. 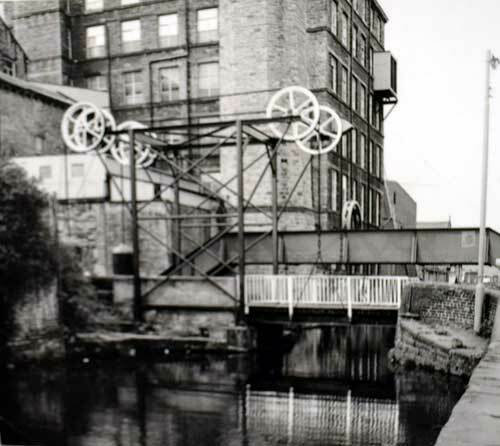 Although known as Turnbridge this bridge does not turn but lifts to let boats continue along the canal. The first bridge to cross here did swivel but this was replaced by this bridge in 1865. Although looking very complicated it was surprisingly easy to raise with a suitable windlass. It is now electric with key access. Huddersfield Broad Canal starts at Cooper Bridge and ends at Asply where the Huddersfield Narrow Canal starts. Picture in the Transport Gallery Tolson Museum. 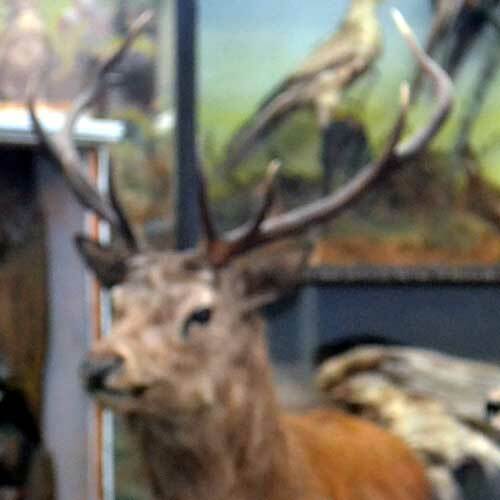 This is one of the many fine specimens of stuffed creatures in the Bird Room in Tolson Museum. In the 19th century it was acceptable to shoot and stuff animals. 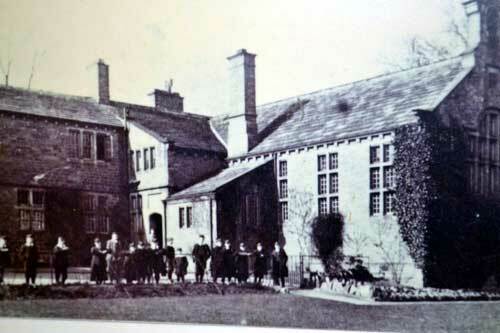 Seth Mosley, who became the first curator in Tolson Museum, had been a lifelong collector of birds, insects and flowers of the Huddersfield area. He bought and sold specimens and also painted wild life. Towards the end of the century Mosely, like many other collectors, began to rethink how they felt about our living environment. The killing of animals for stuffing for collections was frowned upon. Today deer, like this one, can be seen roaming freely in the woods round Castle Hill. 64. 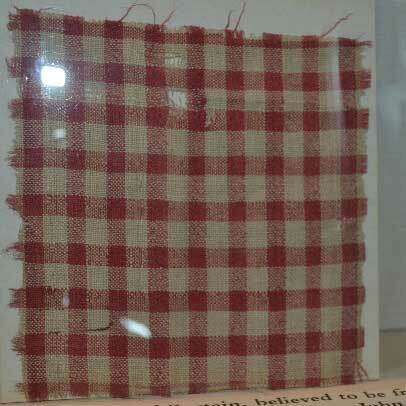 Piece of curtain from the house in London where John Wesley died. John Wesley first visited Huddersfield in 1757. He was not impressed with his reception. He had dirt thrown at him when he addressed people in the Market Place. He subsequently recorded that ‘a wilder people I never saw in England’. However as a result of the growth of the Methodist movement there are many fine chapels in Huddersfield. Tolson Museum. On 1st July 1916 Lt Robert Huntriss Tolson was killed. It was the first day of the Battle of the Somme and he was leading his troops from the 15th Battalion West Yorkshire Regiment over the top. His body was not found until March 1917 and he is buried in the Serre Road Cemetery in the Somme area. 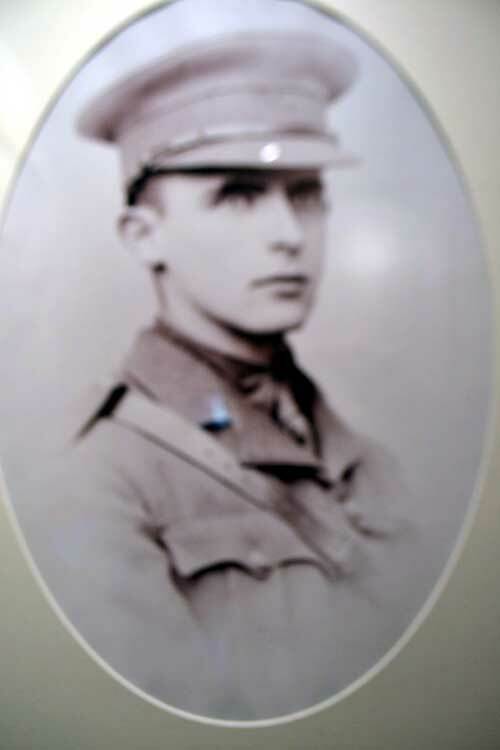 His brother 2Lt James Martin Tolson was killed on 20th October 1918, just before the end of the war. These two young men were nephews of Legh Tolson. It was in memory of these brave soldiers that Legh Tolson gave his home, Ravensknowle Hall to the people of Huddersfield to be the Tolson Memorial Museum. A special service of remembrance was held in the Heritage Memorial Garden, Tolson Museum on 1st July 2017. Picture in Tolson Museum. The voltmeter was an instrument which measured the difference between two points in an electrical circuit. It was manufactured at Alfred Sykes, Manufacturing Electrical and Mechanical Engineering Mill. This engineering business was one of the many entrepreneurial engineering firms in Huddersfield. 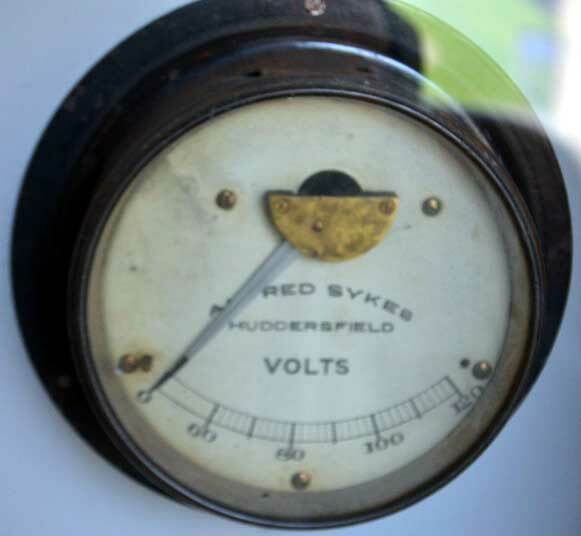 This voltmeter was installed at Upperhead Mills about 1900. Both mills no longer exist. Tolson Museum. 68. A survey of Almondbury in 1584 for Queen Elizabeth 1. Instigated by Queen Elizabeth I this extensive survey clarifies the boundaries of the manor and lordship of Almondbury. 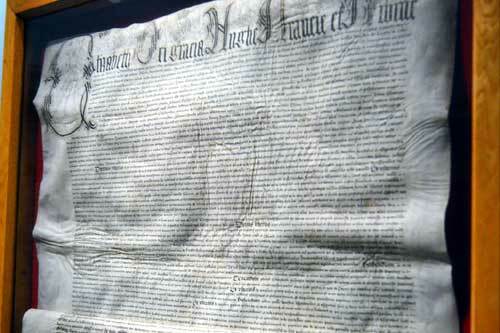 It lists, among other things, several mills and the names of freeholders, including John Ramsden. It states that there were 3 fairs in Almondbury, on St Martin’s Day, Easter Monday and Whit Monday. Tolson Museum. This could be the perfect way to go for a bicycle ride with your friend! 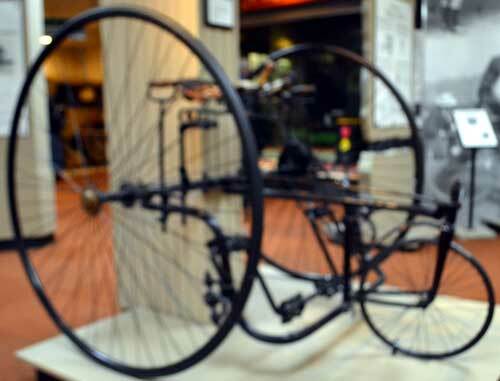 It tended to be used by older riders and women, though it was not very safe over rough roads. The frame was made of mild steel, the steering by rack and pinion and there were often tiny wheels at the rear to help the balance. The Singer Company that manufactured them went on to make cars. This type of bike was not popular for very long as it was expensive and being rather big it was difficult to store and so very few remain. 70. Medal presented to Sam Moorhouse. A patent was presented in March 1877 to Sam Moorhouse. It was for ‘an invention for the improvement in looms for weaving’. Tolson Museum.